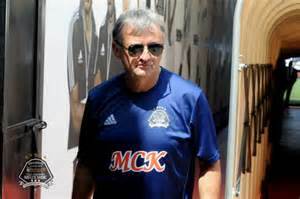 Zambia’s envoys in the Confederations cup Zesco United FC has appointed former TP Mazembe trainer and CAF 2015 Champions league winner Zlatko Krmpotic as head coach to replace George Lwandamina who has since gone to coach Young Africans FC of Tanzania. This is contained in a press statement by Zesco United head of public relations Katebe Chengo. Serbian Krmpotic, who has signed a two year performance based contract was picked after interviews where two other coaches were interviewed at Protea Towers on 31st January. 65 applications were received but only three were shortlisted. He is expected to report for work next week Tuesday where he will be officially unveiled and introduced to the players and other members of the technical bench. The Contract has a buyout clause in the event that he wants to leave and also a one year option for extension of the contract. 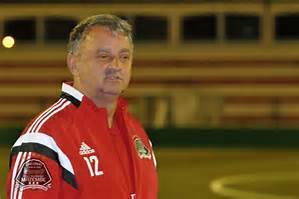 The Serbian has coached in Sweden, Marcedonia, Turkey, Serbia, Kuwaiti and the Congo DR where he won the CAF champions league with Mazembe. He is expected to guide the team through the pre season camp in readiness for the Confederations Cup and the FAZ/MTN Super league which Zesco have vowed to retain so as to earn a berth at the Champions league next year.